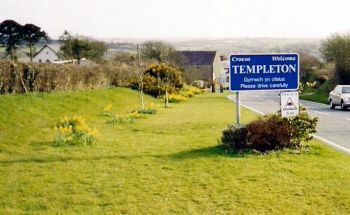 Templeton has a population of roughly 850 and is situated approximately 2 miles from the market town of Narberth and 5 miles from the coastal villages of Amroth and Saundersfoot. Templeton has grown substantially over the last few years and the 21st century has seen perhaps the biggest change to the community than at any other time. The village was always the hub of the agricultural industry but today only a few are still involved in the industry, The Burgage land behind the properties which for centuries enabled people to be almost self sufficient is now being built on for residential use. Templeton Community Association. The committee meet monthly to arrange village events and carry out gardening in communal areas etc. memorial plaques displayed in the churches. 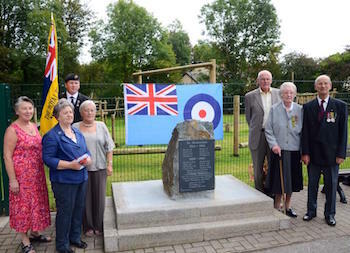 TEMPLETON REMEMBRANCE SERVICE 2016 At war memorial on village green November 11th 10.40 a.m.
Templeton United Reform Church . St Johns Church of Wales, Molleston Baptist Church.